Every day we are subjected to hundreds of fake viral images on the web. Among the thousands of viral photos, not all turn out to be genuine. In several instances, the most viral of images turn out to be the biggest fakes thanks to Photoshop. 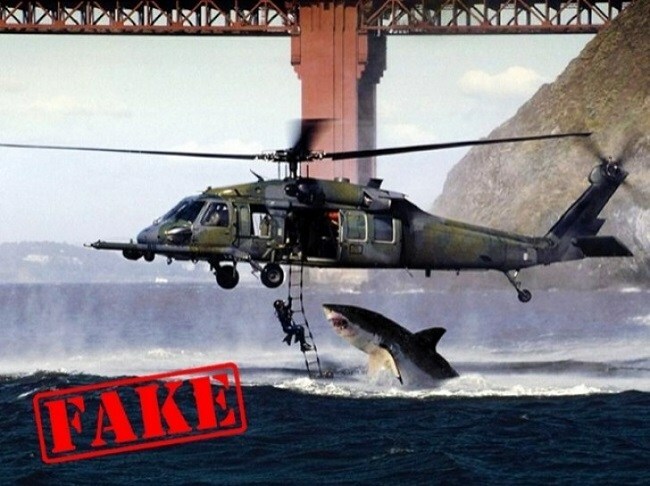 Take a look at several examples of viral images that were proved to be fake. This was projected falsely as a National Geographic nominee for photo of the year which made NatGeo’s credibility suffer badly. This is one of the most notorious images to hit the internet gaining huge popularity and visibility. The fake image turned out to be two unrelated pictures skillfully merged together. 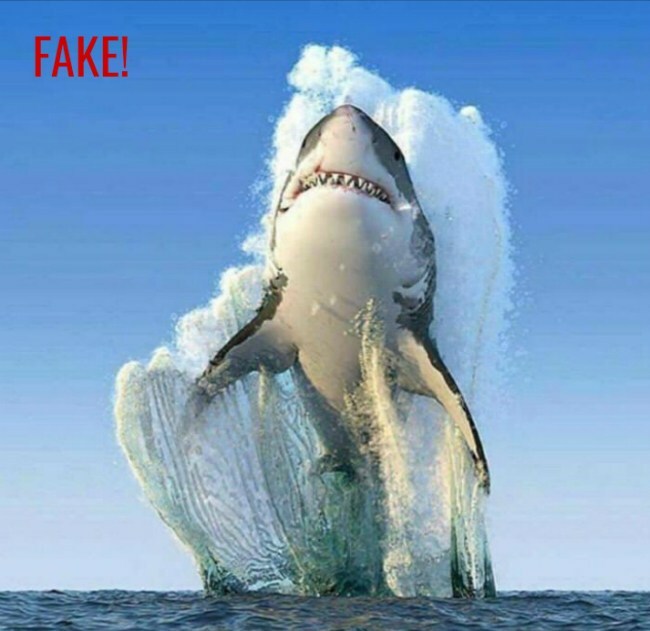 This fake photoshopped image made millions actually believe it was real making it viral instantly. 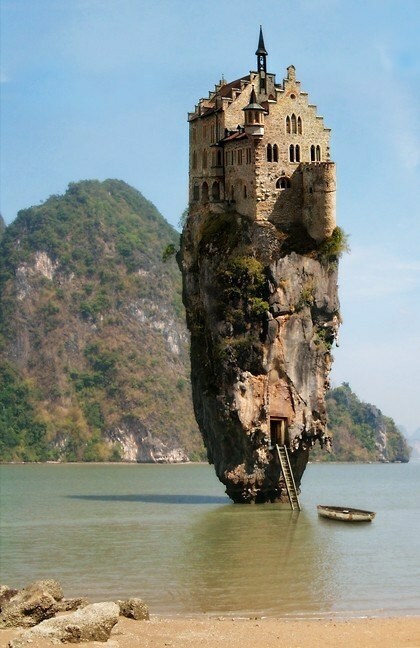 Taking a look at this image, one actually feels like taking a trip to Dublin Ireland instantly, unfortunately, it’s a huge fake. 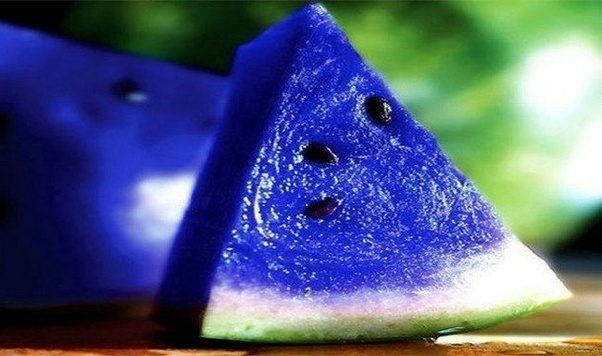 Blue watermelon, a rare breed, a magical Chinese fruit, the Japanese blue moon, all of these labels created an aura of rarity around this image which was actually a photoshopped image of an ordinary watermelon. Among fake viral images, a genius will always be remembered. Einstein won’t be remembered for this photo especially among those who know their history. 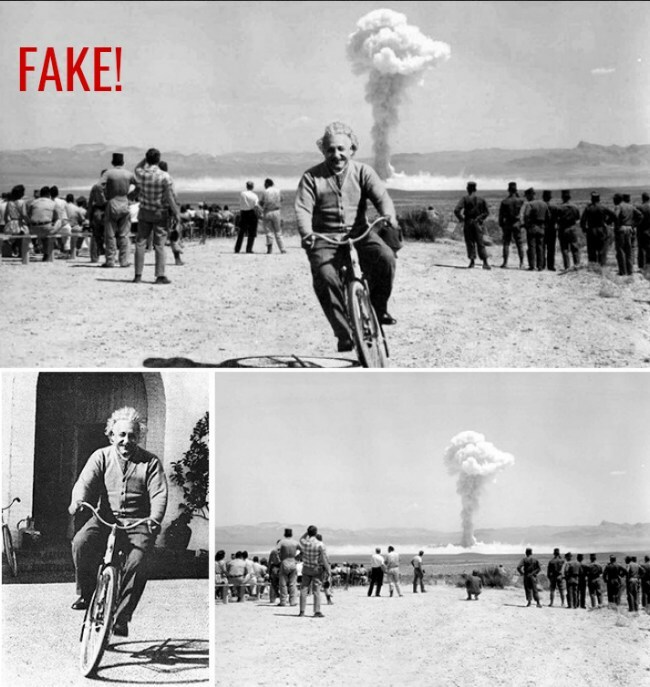 Why on earth would Einstein be riding around on a bike with the nuclear explosion in the background. That was held in Nevada 1962, seven years after the death of Einstein. Maybe a body double? This is an amusing photo no doubt. 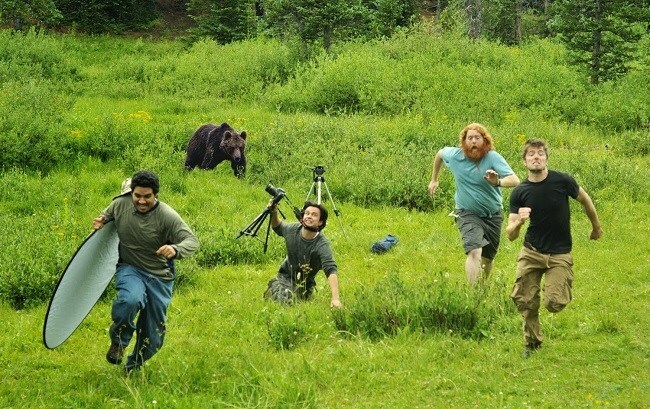 Emergencies and dangerous incidents do occur if you’re going to photoshoot a grizzly without his permission. Unfortunately, as much as it was believed back then, this photo is a fake. Check the shape of the bears head and the patch of grass on the right front paw. This was a real rip-off showing the head of the lion all trussed up and just his head poking through the MGM logo at the other end. It insinuated a cruel procedure of filming the famous lion roar which enraged wild life activists but it was not true. 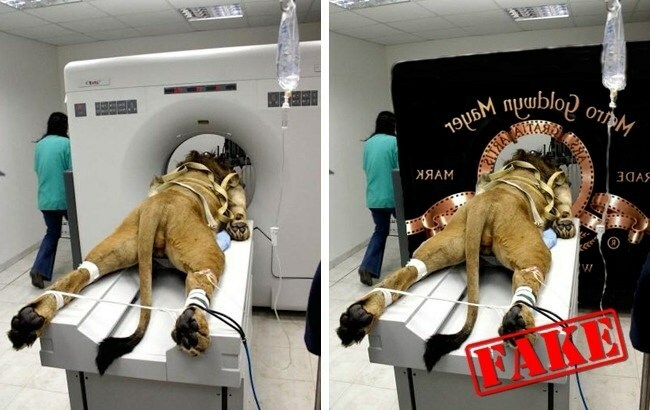 The photo was a fake and Photoshopped from the image of an actual Lion strapped down for an MRI. The picture of a great white shark with the captivating caption as “National Geographic Photo of the Year, “generated huge visibility in 2016. Several people thought it was real but it turned out to be fake and another setback for National Geographic. Now, who wouldn’t be fascinated by the photo of a black lion which went viral? Everyone who saw the image was discussing the magical beast. But?? 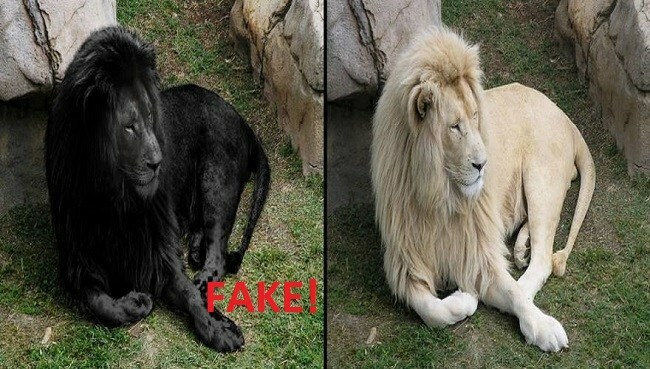 Although black lions do exist in reality, this particular one didn’t and it turned out to be a clever Photoshop fake. It still remains a fantastic picture though. This turned out to be a hilarious photo at the time which showed George Bush Jr reading a book upside down. It immediately went viral and the media poked fun at the intelligence level of the then president. But! 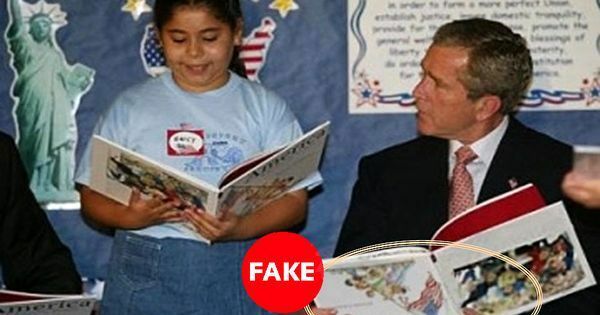 The hullaballoo was for nothing because in the original photo, Bush was holding the book correctly. This was a big fake which appeared a few weeks after 9/11. There were several illogical inconsistencies surrounding the photo such as the biggest fact that the tourist doesn’t even seem perturbed in the least at the plane approaching him. How did they survive to process the photo? Obviously, it was a fake riding high on the wave of the tragedy which helped make the photo viral. It was proved to be a fake and the tourist was also found. 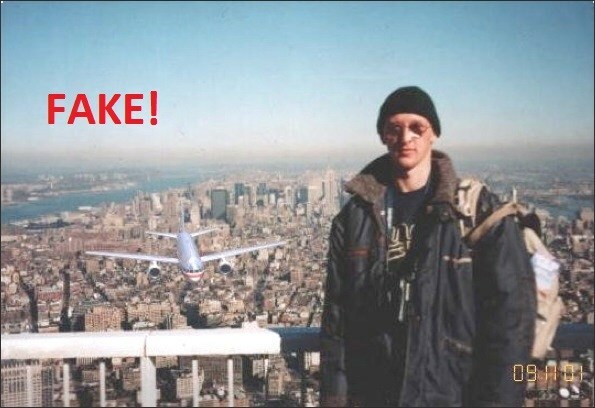 The original photo carried a date stamp of four years before 9/11 and was taken on the Brooklyn Bridge. 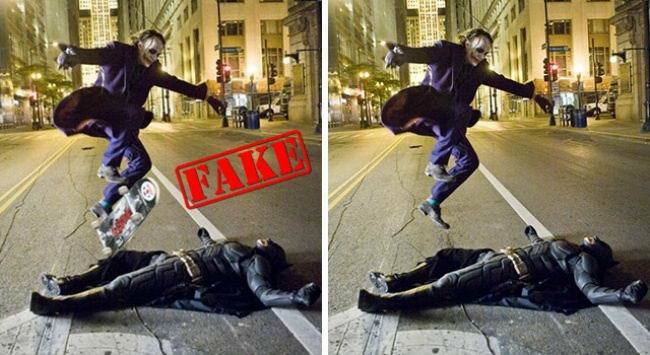 This twitter image went viral with the caption that said Heath Ledger was having fun on the sets of The Dark Knight”. The photo is still doing the rounds on the internet but it was a well-edited fake. This was one clever trick photo and one of the best among fake viral images. It actually gave rise to several copycats which ended in thousands of likes. Although it looks great, it is still a fake. But if you see the real photo you’ll see that it too is not a bad photograph and is worth the attention.